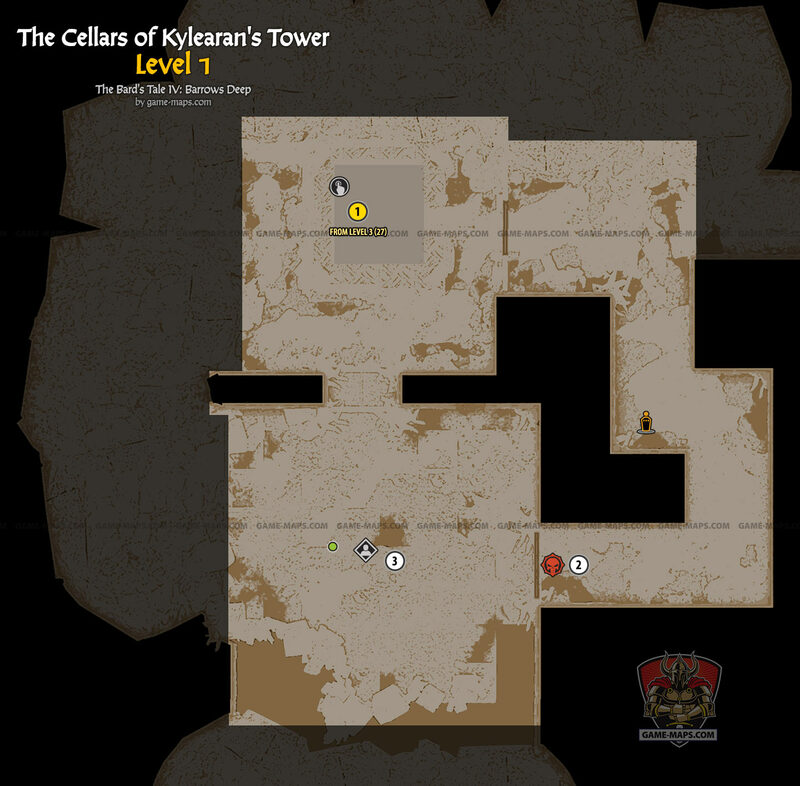 Level 1 of Kylearan's Tower is quite simple. After going down the elevator from Level 3, you first have to fight the monsters that will open the way to Luck Stone. Alguin will join your party. You have to help Alguin to defeat Mangar. This is not the kind of battle you've been up to now. You will not be able to beat Mangar yourself. Only Alguin can kill Mangar. You must defend Alguin and try to survive through 6 turns. After 6 turns Alguin will cast a powerful spell that will kill Mangar. Try to keep yourself alive and attack additional creatures summoned by Mangar. After fight go to next room and talk to Alguin. Talk to Alguin to make next step in [The Best Of Us Quest].